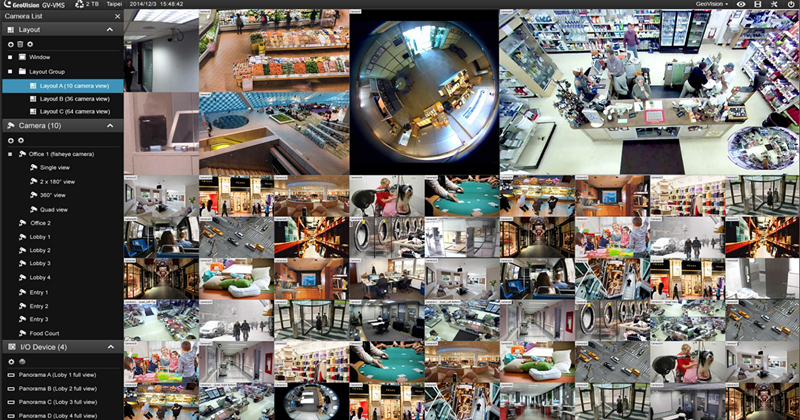 The iMaxCamPro Dome Camera has audio... What will yours hear? The Customizable Hybrid GeoVision NVR/DVR supports up to 32 IP Megapixel Surveillance Cameras. The GV-NVR (Network Video Recorder) records video and audio data over TCP/IP networks. This recorder is customizable to fit your specific needs; select the desired core processor, HDD space, Analog outputs and much more. 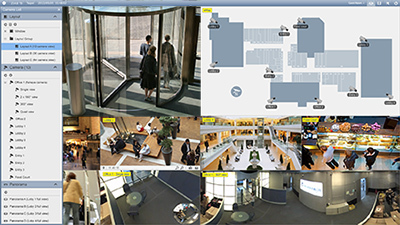 One of the great features of using a Geovision by Worldeyecam surveillance system is that, provided the PC's minimum requirements have been met, you can add IP cameras to your existing analog Geovision system. Add this versatile GeoVision NVR/DVR to your surveillance system today. Dimensions (W x H x D) 19.7" x 19.1" x 7.0"
Click/Tap on image for a more detailed view. 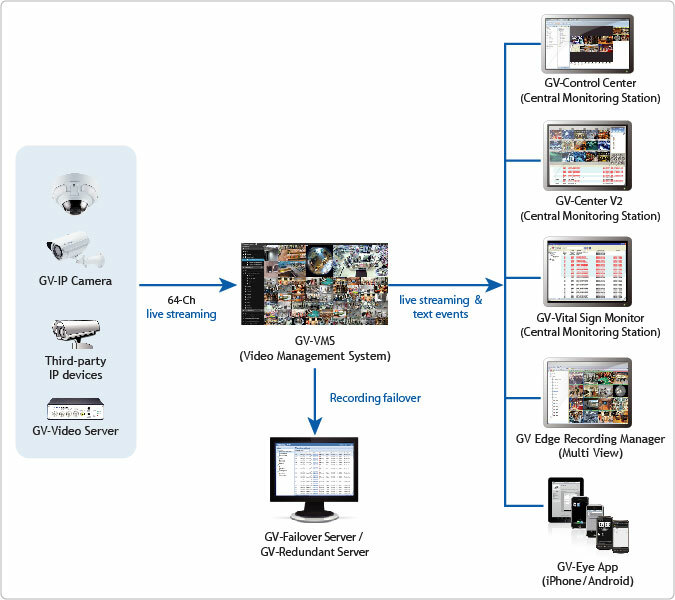 Monitoring: The GV-VMS Software allows you to monitor up to 32 channels of video streams, E-map, PTZ control, among other functions. Intelligent Recording, Smart Search and Easy Playback: Continuous recording (round-the-clock) and recording triggered by motion detection, alarm and schedule. Video Merging and Export: Exporting video recording within a specified time range, exporting videos in EXE format, playable with any third-party players. 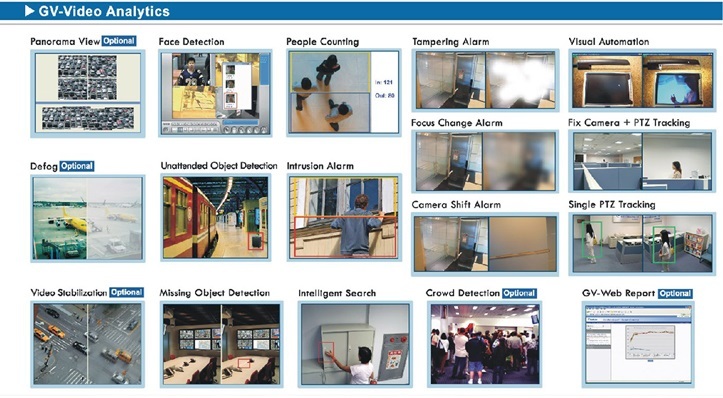 Video Analytics: The GV-VMS offer you different kind of video analytics such as: object counting, people counting, intrusion alarm, face detection, privacy mask, among other functions. Integration with Centralized Management Software: The GV-VMS software is able to connect with the GV-Center V2, GV-Sign Monitor, GV-Dispatch and GV-Control Center. 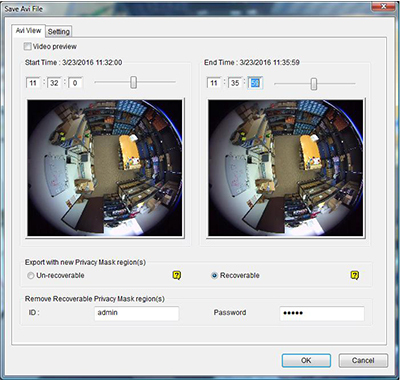 Remote Monitoring Software: The GV-VMS software also allows you to monitor your security cameras remotely using the WebCam web interface, GV-Mobile Server app, GV-Edge Recording Server (Windows /Mac)*, GV-Eye app for Android Smartphones and iPhone / iPod / iPad. Purchased this system with their 3.0MP camera and was able to replace 8 cameras that we had installed in our parking lot area. With just this one camera we were able to record the whole lot and was able to zoom in after the recording to see it all in better detail than I could ever imagine. Spoke with Dave in their tech department and he suggested we try this with their NVR system. 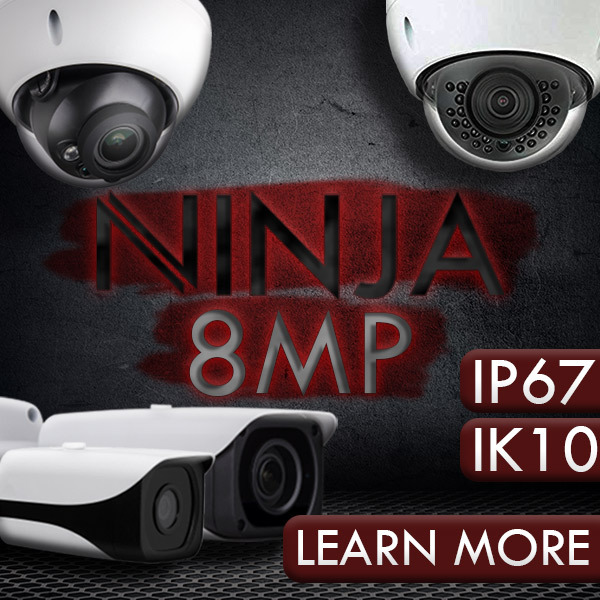 I would highly recommend them to anyone tired of old analog cctv quality.